As you can probably tell from the title, you should skip this one if you can't think of a single reason why anyone should write about how much they love a web browser. What can I say? I am who I am. 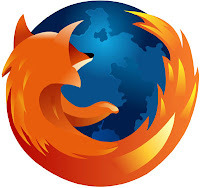 I love Firefox, the free, open-source alternative to Internet Explorer. If you use Firefox, you know why I love it. Tabbed browsing, a straightforward search bar, a smart location bar (you can do an "I'm feeling lucky" Google search by just typing a query in the location bar and hitting enter - awesome), inline spell-check, standards compliance, ease of use... the list goes on. Firefox 3 was released yesterday, and unlike the bloated Internet Explorer, it's incredibly fast and uses very little memory. Tab Mix Plus (not yet compatible with FF3) - I use this guy for "undo close tab," opening results from the search bar in a new tab, and its killer session features (you can save all the tabs you have open for later). Customize Google - No more Google ads (Gmail is completely different without them). Download Status Bar - See current downloads in the Status Bar. No annoying "download window" popups. FireFTP - A full-featured FTP client in a Firefox tab. Web Developer Toolbar - If you do any amount of web design, this is a must-have. Copy Plain Text (not yet compatible with FF3) - If you've ever copied anything into Word, you know how painful it can be to remove all the formatting. This extension does that for you. Searchbar Autosizer - Increases the size of the search bar as you type. Qute Theme - The default Firefox theme is pretty ugly. This one isn't. UI Tweaker - I use this to put tabs on the bottom, which increases efficiency when you're switching between other applications and your browser. Any other add-ons I should know about?